Categories: Compassion of God, Faith, Grace of God, Prayers. We have all forgotten how to pray. For many of us, praying is standing before an image of God with folded hands; maybe muttering a few slokas that we may not really understand; or perhaps, at best, asking for some favor from Him. And repeatedly informing Him again and again does not make it prayer either. 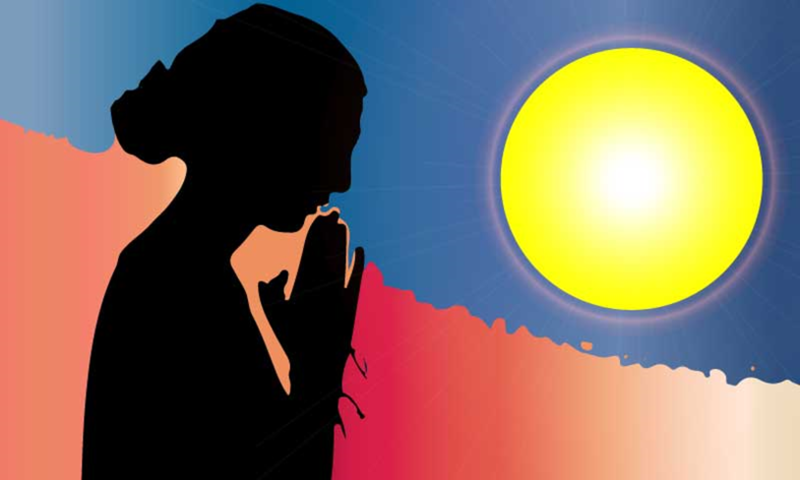 Prayer is, in truth, a strong emotion. It is a deep feeling with a sincere yearning for its fulfilment. Prayer is a heartfelt call for the grace of God. Further, mahans (saints) say that prayer is the very basis for any action on the part of God. In other words, prayer is necessary for God to act. We see that with every of Lord’s incarnations. Sri Krishna’s descent was a result of Bhoomi Devi and Lord Brahma’s prayer. Sri Rama—the Devas’ prayer and Vamana—Aditi Devi’s. And we also see how God always acts in favor of whoever calls upon Him The amrutha mathanam episode is a beautiful case in point. The Devas lost their power and prayed to the Lord; He gave them the idea of churning the Milky Ocean to obtain the nectar of immortality. They could not lift Mandara mountain, so prayed to Him; He came and lifted it Himself and positioned it. The mountain sank, and again they prayed; He took the form of a turtle and provided a sturdy base. They still found it hard to churn, and again prayed to Him; He pressed down on the mountain from the top and Himself churned the mountain. When finally the Divine nectar emerged, the Asuras snatched it away and again the Devas took refuge in the Lord; now Bhagavan again took the form of Mohini the enchantress, tricked the Asuras and gave the nectar to the Devas. At every stage of this episode, prayer was necessary for the Lord to act. And so it is in our lives too. 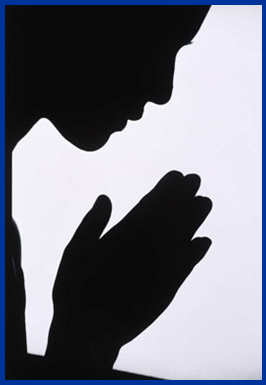 Heartfelt, deep, sincere prayer is the solution to everything – relief from worldly trifles and grave dangers; the way to obtain mental strength, a positive attitude and discrimination; the means to seek forgiveness and repent for our mistakes committed knowingly or unknowingly; the way to truly develop dispassion and devotion; the only way to actually be able to see God. Even great saints obtained His vision only after years of deep yearning and praying. “de darshan ko dAn prabhu” (give me Your vision as alms, O Lord!) prays Meera Bai in one of her songs. Saints show us how we should pray. Effective prayer has more than just presenting our deep desire. Prayer includes reminiscing the Lord’s omnipotency—His ability to grant what we ask. It includes reminiscing how He has similarly blessed other devotees.. And most importantly, it includes reminiscing His compassion towards us helpless beings. This compassion is what will evoke His grace on us. Instead, we need to remind Him about His prowess and compassion – how He saved the Gopas and Gopis from Putana, Trinavarta, Shakatasura, even as a little child; how it was He, Bhagavan, who ran to the rescue of Gajendra and Draupadi. When we remind our deity about His Lilas and immense compassion with a melting heart, and then place our prayers before Him, how would can He be without coming to our rescue? How can the Lord not be moved by words such as these? How beautifully Sri Swamiji reminds the Lord of His quality of protecting His devotees under any circumstance and then surrenders while again reiterating the devotee’s helplessness. This is the path of prayer. Simple, straight, effective. A direct connection to God. Prayer is also a self-purifier. The more deeply we pray, the purer we become. And the more we connect with God, our prayers themselves get purified—that eventually all we can pray for is only His grace and love. And the beautiful secret is that, if we don’t know how to pray or call out to God, all we have to do is chant His Divine Names, sing these songs of great saints, and pray to be able to actually pray through them. As we continue to do this, a miracle will indeed happen and we will begin to actually mean them as we sing, and want those very prayers to be fulfilled. The journey begins with prayer and ends… not just with prayer, but in prayer!